About SBI: SBI (State Bank of India) is the biggest banking and financial services organization in India with over 16,000 branches covering entire geography of India and with an asset base of over INR 20,00,000 Cores (~20% of the overall banking industry). State Bank of India invites online application from Indian Citizens for Appointment into various posts under Specialist Officers (SO). Examination Level: It is a National level exam conducted by the State bank of India. Headquarters: The headquarters of SBI is at 11, Near Jantar Mantar, Sansad Marg, Parliament Street, Delhi – 110001. Pay scale: SBI SO 2019 has a pay scale of INR 32000-75000 per month and it varies as per the post. Notifications: Notification for SBI SO Recruitment 2019 for the post Specialist Cadre Officers - Law and Special Management Executive was released on 20th March 2019. Know more about the SBI SO 2019 Recruitment. Application form: The filling of the application form for the post of SBI SO law and Special Management Executive started from 5th April 2019 and the last date for the filling is 25th April 2019. Date of Examination: The SBI SO 2019 Exam will be conducted in the month of June 2019 (tentatively). Know more about the SBI SO 2019 Exam important dates. Job Posts: SBI SO 2019 Exam is conducted by SBI for the post of Specialist Officer at various banks. Vacancies: There are a total of 119 vacancies for the post of SBI SO Law and Special Management Executive. Reservations are provided for SC/ST and OBC candidates. Know more about SBI SO 2019 Vacancy. Educational Qualification: The minimum education qualification for the post of SBI SO is graduation in relevant fields(Finance/Law, etc). Particular Skills required: Practical Knowledge of MS Office. Age Limit: Age of the candidate must be a minimum of 21 years and a maximum of 52 years. Know more about the SBI SO 2019 Exam eligibility criteria. Paper-3: The subjects in this paper depends on the specialisation/posts you want to choose. Find more details on each topic of SBI SO 2019 syllabus. Structure: The SBI SO 2019 Recruitment Exam is conducted online. SBI SO2019 Recruitment Exam consists of 3 Papers: Paper 1 and 2 will have 70 & 50 objective type questions respectively for 90 minutes. Paper-3 will have 50 Questions in 45 min. Post-exam: Candidates who qualify all the 3 papers are called for Personal Interview. Find more details on the SBI SO 2019 Exam Pattern. 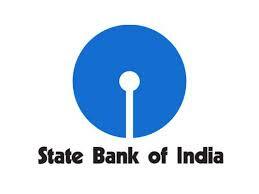 Mode: Candidates should visit the official website of SBI for filling the online Application form. Application payment process: The application fees as per the category are: INR 600 for general, INR 100 for (SC/ST/OBC/PWD) candidates. Online and offline modes are available for payment of application fees. Find step by step instructions for the SBI SO 2019 application process. Availability: Admit Card of SBI SO 2019 can be downloaded from the official site. The Admit card will be available 2 weeks before the exam. Download: The candidates are required to submit their application number, date of birth and security pin to download SBI SO 2019 admit card. Official website: Once the result is declared, it will be uploaded to the website. Date: The result of SBI SO 2019 is generally declared after 3 months of the exam. Know more about the SBI SO 2019 Exam results.